Download the free, fully-functional demo today! CelestNavTM turns your PalmOS handheld into a full-featured calculator for celestial navigation. CelestNavTM requires 204k of free memory, and runs on all PalmOS compatible systems version 3.0 and above, including Handspring Visors, Sony Clies, and Handera and TRG units. The free math library Mathlib, written by Rick Huebner, is required; a copy is included for your convenience. Download a free, fully functional, 10-day demo of CelestNavTM. Current version is 2.5, released October 12, 2002. If you are already a CelestNavTM customer, this is also the file to download for your free version update. beta version of the next release, CelestNavTM for PalmOS, native PalmOS format (.PRC). Updated 25 Feb 2004. Do not use 3.0beta for navigation. Here's an online copy of the CelestNavTM tutorial. $49.95. Version 1 customers receive version 2 as a free upgrade. Electronic delivery via eSellerate. Get your password in seconds! a CD version from Celestaire, Inc.. Or by phone at 1-888-navigate, 1-316-686-9785. If you have purchased the CD version of CelestNavTM, register here for free upgrades. computation of fix position from celestial observations. 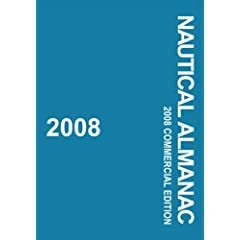 perpetual nautical almanac for navigational stars, Moon, Sun, planets. Mercator and Great Circle sailing computation. computes range, height, sextant angle for lighthouses and other terrestrial objects. twilight, rise, set, meridian passage computation. automatic timing of sextant observations and adjustment to UTC. handles backsights, non-standard atmospheric conditions, and more. sight reduction screen with the functionality found in publications H.O. 229 and H.O. 249.
continuously updated dead reckoning position. "finger-friendly" data entry screens for celestial observations, angles, dates, and times. Look at some screen shots or read the tutorial. One Hundred Problems in Celestial Navigation. A collection of problem sets, with answers. Each chapter follows a segment of a voyage; the voyages are in different parts of the world, and different vessels (including a dirigible!). Gray makes no assumptions about ho w you're working the problems. These programs are written by others, but are very helpful in navigation. First-rate tide and current prediction tool. Covers the entire world except for the British Isles. Free! Clock, timer, and stopwatch program. Also the easiest way to set the Palm's clock to the nearest second. Free! CelestNavTM requires PalmOS. It will not run on PocketPC platforms. For a celestial navigation program and starchart program that does run on PocketPC, we recommend Pocket Stars, by Nomad Electronics. Buy your PalmOS handheld organizer online.